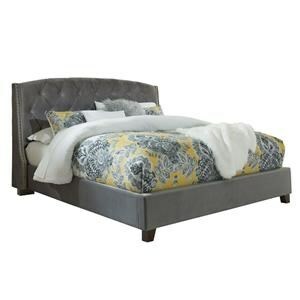 The fabric on the upholstered headboard of this bed is available in your selection of Crypton® performance fabric that is not only beautiful and soft to the touch, but is stain, moisture, and odor resistant. 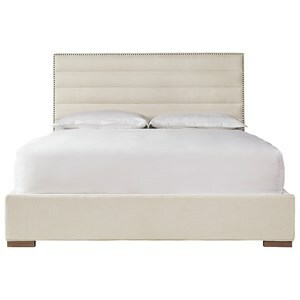 The nailhead trim on the headboard of this upholstered bed is available in a choice of three finish options. 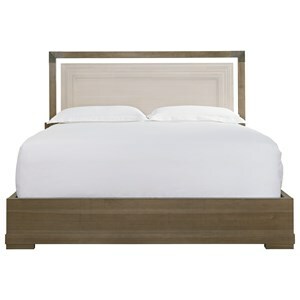 This bed can be a classic American empire story, or a beautiful nod toward relaxed cottage. 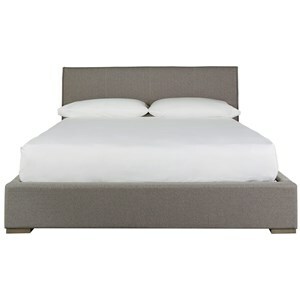 With all of the options at your disposal, the Lawrence bed can be quite the chameleon. 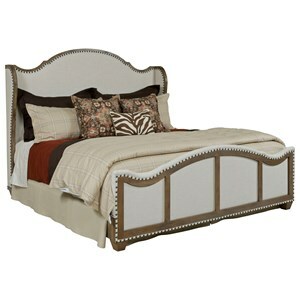 You'll love it for its architectural moldings and fully turned posts on both the headboard and footboard. 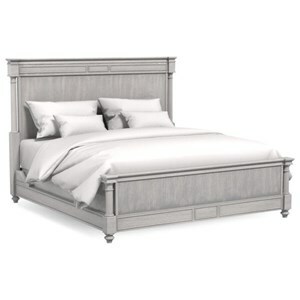 It is a natural fit with Annabel, Charlotte, Armstrong and Wardley storage pieces. 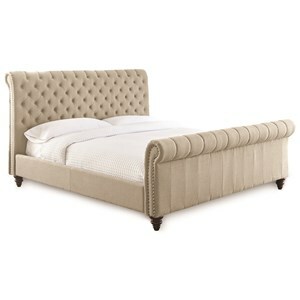 The Lawrence bed is available with a wood headboard and footboard or select from any Artiste performance fabric and nailhead trim option for an upholstered headboard and footboard. The Lawrence Customizable King Upholstered Bed by Artiste Furniture at Belfort Furniture in the Washington DC, Northern Virginia, Maryland and Fairfax VA area. Product availability may vary. Contact us for the most current availability on this product. 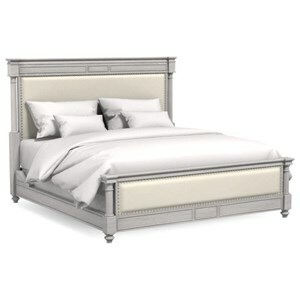 Browse other items in the Lawrence collection from Belfort Furniture in the Washington DC, Northern Virginia, Maryland and Fairfax VA area.